The Parker Twin Filter high performance pleated coalescer is optimized for natural gas and hydrocarbon applications. Liquid-Gas coalescers remove aerosols and fine particle contaminants from natural gas and fuel gas streams. 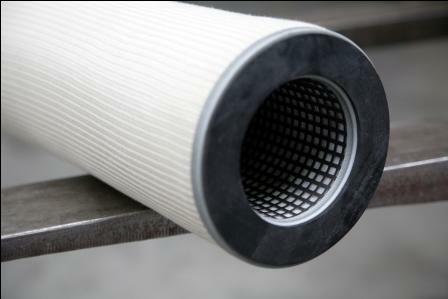 Liquid- Gas Coalescers use proprietary high performance micro fiberglass and polyester coalescing media in a pleated configuration for optimum performance and maximum removal of particles and liquids.